Zappos is an online website selling shoes, and it was acquired by Amazon at nearly $1 BILLION. 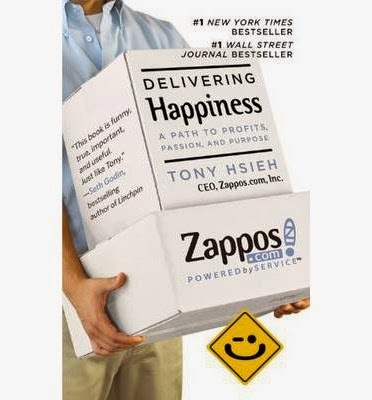 This is a book by Tony Hsieh, CEO of Zappos. I like the way Tony wrote the book, because he chose not to use a ghostwriter, even though he is not a professional writer. This makes the book reflect his personality more closely, much like he is actually “talking to you” from the book. It’s a very enjoyable book about a company that focus on it’s culture, and how they deliver happiness to customers, and to themselves. For individuals, character is destiny. For organisation, culture is destiny. The first half of the book is more about the life of Tony as a kid, and also about his first company (LinkExchange) which was acquired. The second half is much about the importance of culture and happiness, and how Zappos as a company delivers that. Pipeline is pipeline of people in departments, with varied skills and experience, moving through positions. This is in contrast to people as assets. Pipeline is assets. While we study stuff like how to run a marathon, why didn’t we study how to be happy? And I bought happier right after I finished this.